This week's bump in iPhone X delivery estimates, now down to one to two weeks, fueled speculation of weakened demand for Apple's flagship handset, but noted KGI analyst Ming-Chi Kuo believes the change is due to better than expected supply chain enhancements and parts availability. Kuo in a note to investors seen by AppleInsider says Apple and its suppliers have addressed major productions issues that plagued iPhone X output for months, problems that led to woefully low launch day supply and lingering stock issues. Reports leading up to this month's iPhone X debut claimed Apple and its supply partners struggled to boost device supply in the face of a variety of supply chain bottlenecks. Most focused on hardware associated with the phone's TrueDepth camera, though Kuo in his own analysis blamed short supply on a dearth of advanced liquid crystal polymer LTE antennas. According to Kuo, Apple's production problems have been largely rectified. The company diversified LCP LTE antenna orders to include a second producer, Career, while production yields of TrueDepth's dot projector, known as the "Romeo" module, have increased. Specifically, LTE antenna shipments from Career are expected to grow 100 percent sequentially in both November and December, while LG dot projector production yield from Innotek and Sharp is now at 80 to 90 percent, up from a sub-60 percent yield 1 to 2 months ago. With the bottlenecks addressed, Foxconn is now pumping out between 450,000 to 550,000 iPhone X units per day, up from 50,000 to 150,000 in the weeks leading up to launch, Kuo says. The analyst believes fourth quarter shipments could be 10 to 20 percent higher than previously estimated, meaning first quarter 2018 shipments will experience some pull-in. As such, Kuo is forecasting flat or slightly lower quarter-over-quarter iPhone X shipments for the first quarter. 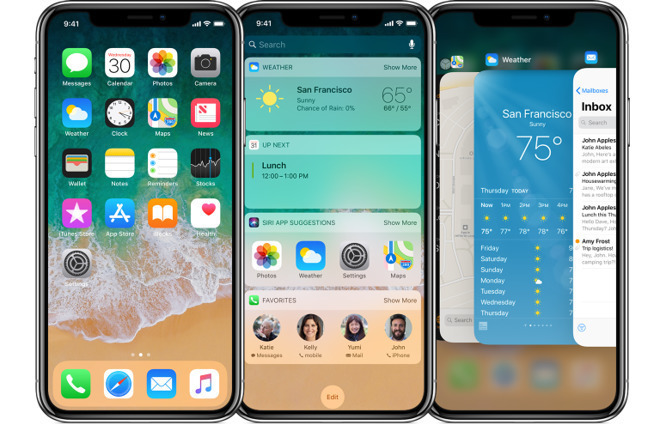 When iPhone X hit store shelves on Nov. 3, Kuo estimated Apple would have only 2 to 3 million iPhone X units stockpiled to meet pent up demand. As expected, a crush of customers exhausted initial supply, with preorders selling out within ten minutes of going live on Oct. 27. Demand for the handset quickly pushed estimated shipping times out to a high of 5 to 6 weeks in less than two hours of availability. Apple has yet to reveal launch day numbers, saying only that initial customers response was "off the charts." Delivery estimates slowly improved after peaking in early November, with some preorder customers noting shipping improvements over the past two weeks. Most recently, Apple on Wednesday updated its online store in the U.S. to reflect stock improvements that put estimated delivery times for new orders at 1 to 2 weeks.